Is Your Heating Cool and Your Cooling Hot? Let us help turn that around. 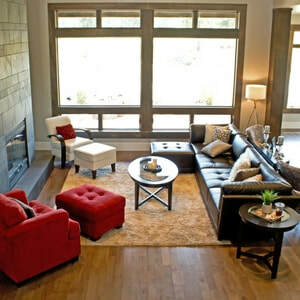 No matter what season it is homeowners want to maintain optimal home comfort inside. One of the central and most important systems in a house is the temperature control system. A healthy system includes: Regular Furnace Servicing and Maintenance, Regular Air Duct Cleaning, Air Conditioning maintenance and service, and even Window and Door sealing are major components. Summer is just around the corner here in the great northwest. Sometimes temperatures can change quickly leaving your climate control to keep you in uninterrupted comfort. An inefficient system however can leave your home too cold and too hot during some hours of the day or night. Our installers will check ever situation and make sure it is operating at maximum efficiency. Why pay more for less, which is exactly what you do when you are pushing old systems to there limit. What is a Heat Pump? A couple common questions. Q: I'm not sure what I need, whether it be a heat pump or just air conditioning and how that all works. The pump is basically an AC, but with the added bonus of a mixing valve that reverses the AC process to cr create heat inside the coil that then blows by. So it's really good for smaller increments of heat increase. You wanted up a degree or two. And it is also a full cooling system. So you have the outdoor unit and then above your furnace you add a coil. And then we run a line set between the two, weld it all up and then some thermostats will switch between a gas heat and heat pump heat depending on what's more efficient on its own. There's a lot of little options you can get also. Q: So is it better to have just to have just an air conditioner? The heat pump, that heat pump is uses the whole house. So it's the same thing. It uses the furnace to move the air and then it uses the coil, the AC process to use either ac or heat depending. But I still use the fan in your furnace to use it for the whole house. So some people don't like the option of the heat pump. They did tend to run about 20% longer because they're heating the air and will produce less heat. So some people will just use it in the summer and basically just use them as AC. They don't like the idea of it running longer and some people don't notice them, but just kind of depends on how your system's configured. 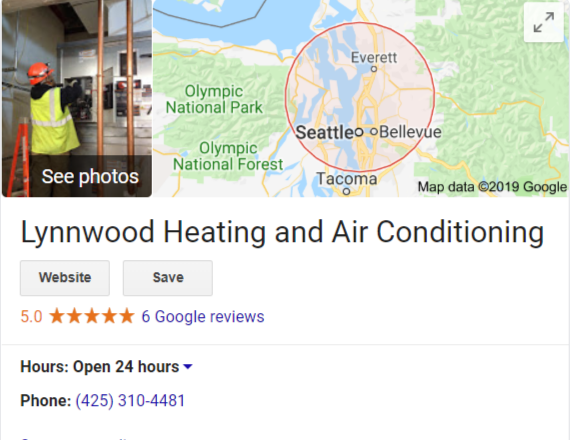 Our Lynnwood HVAC contractors are committed to customer service including timeliness, clear communication, free estimates without up-selling and overall satisfaction with a job well done. Don't take our word for it, check out our reviews and testimonials, or just give us a call and we'll come do a free estimate for you, so you know the details and cost of the project. No hidden costs! Air Conditioning Repair Lynnnwood. 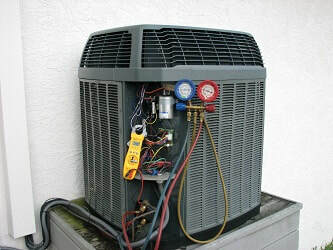 Your heating and cooling system is the most expensive equipment you will purchase for your home. That’s why it’s important to choose proven products from a reputable manufacturer. Your temperature control system does one of the most expensive things in your house. So it is very important to have well-maintained and good quality Heating and Cooling appliances. A new furnace or air conditioning unit when properly installed can't save you 20 to 30% of your annual fuel expenditure. Also having high quality units may qualify you for tax credits. The loudness of an un-maintianed furnace or AC unit can reach almost 80 to 100 decibels. That is as loud as a jet flying over at low altitude or even a typical garbage disposal. The sound of your heating and cooling appliances plays a major part affecting the Comfort level of your home. 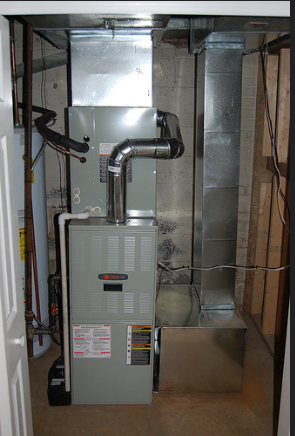 Older or less expensive furnaces run only at one speed and blow a constant stream of air. So the furnace is constantly cycling on and off to respond to the changing temperature within your home , which can be quite annoying. For better air circulation go with a variable speed furnace. Clean air is often an afterthought in most temperature control systems but it is very important for the health of you and your family. 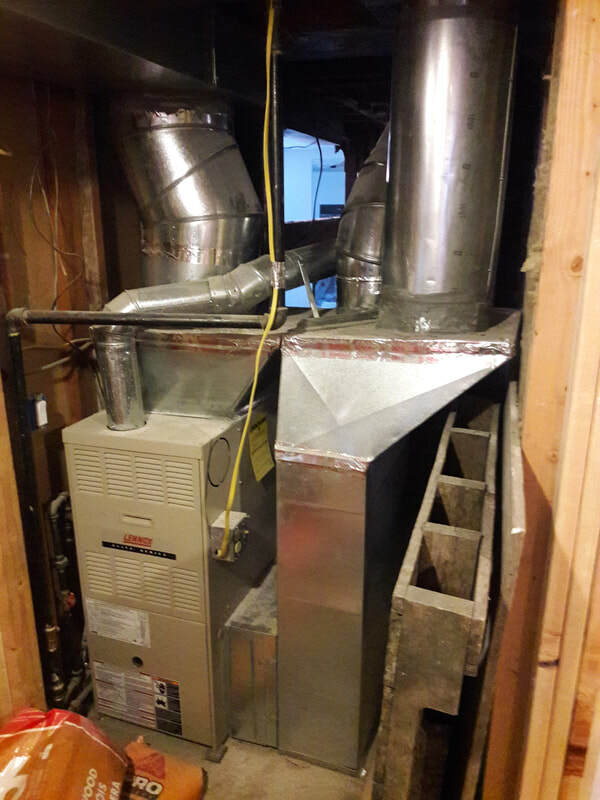 One thing you can do to have cleaner and more healthy in your house is too add and air cleaner or air handler to your furnace which will capture small contaminants in every room of your house. We can diagnose your equipment problems and determine the best repair to fit into your budget and timeline. 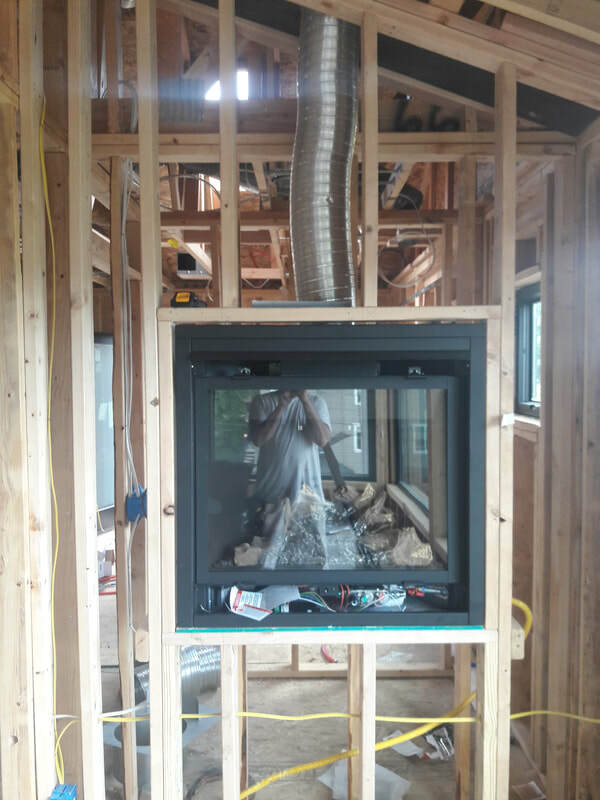 Lynnwood FURNACE INSTALLATION. We install the best equipment for your situation. Lynnwood FURNACE MAINTENANCE. We set up schedules to perform regular equipment maintenance. Lynnwood FURNACE SERVICE AND REPAIR. We can diagnose your equipment problems and determine the best repair to fit into your budget and timeline. At Lynwood Heating we understand there are many other companies when you search online for, say, Furnace Repair Near Me. That is the way people find a company when they are in a difficult repair situation. So we hope you find us first because we are happy to try and save you money anyway that we can. 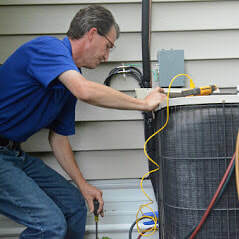 We have multiple qualified HVAC service technicians that are at the ready to meet your schedule. Although during peak seasons we hope you will understand any rare delays. Thank You for choosing Lynnwood Heating for all of your home comfort needs.